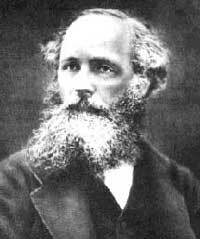 James Clerk Maxwell presented his mathematical conceptualization of electromagnetic phenomena in a paper to the Cambridge Philosophical Society in 1855. This paper, "On Faraday's Lines of Force", was the first of three on the subject that Maxwell would pen in a ten-year span. The other two were "A Dynamical Theory of the Electromagnetic Field" (presented to the Royal Society in December 1864) and "Treatise on Electricity and Magnetism" (written at his home at Glenlair and published 1873). His portrayal of electromagnetic forces as “fields” revolutionized physics. In giving a mathematical foundation to Faraday’s qualitative notion of lines-of-force, Maxwell provided a theoretical base for much of electrical engineering. "A Dynamical Theory of the Electromagnetic Field" elegantly explained all electromagnetic phenomena then known, as well as the propagation of light. It contained the equations that English physicist Oliver Heaviside would eventually simplify and which would become known as Maxwell’s Equations. Maxwell’s concept of the electromagnetic field was not at first universally accepted. Electrical engineers, 'electricians,' as they were then called, saw no value in the field concept to the practical development of electrical technology. It would take the efforts of the “Maxwellians,” most of who were physics professors, Heinrich Hertz’s experiments, and the mounting technical difficulties arising from alternating currents, before Maxwell’s theory would gain universal acceptance. Maxwell's equations were designated as an IEEE Milestone in August 2009. Maxwell was one of the great scientific minds of the 19th century. In addition to his groundbreaking work in electrodynamics, Maxwell created the field of statistical mechanics, and did pioneering work in the theory of color and color perception. The latter interest led to Maxwell’s making what many consider to be the first color photograph in 1861. His keen mind moved back and forth easily between science and culture. His best-known discoveries concern the relationship between electricity and magnetism and are summarized in what has become known as, which have become a major underpinning of modern physics. In addition to this work Maxwell also made significant contributions in other areas. He did extensive work and research on the kinetic theory of gases, and the nature of Saturn’s rings. Maxwell was born in 1831 and was raised as an only child after a sister died in infancy. Maxwell’s mother died when he was only eight years old leaving his father to raise him on the family estate of Glenlair, in rural Scotland. Maxwell’s father hired a tutor to educate the boy, but the relationship between teacher and pupil was tense and difficult and marked by harsh treatment. When Maxwell’s father discovered the mistreatment, Maxwell was sent to live with an aunt and began to attend Edinburgh Academy. Although Maxwell’s tutor had once described his young charge as “slow,” the facts suggest that the slow one in the duo may, in fact, have been the tutor who failed to recognize Maxwell’s brilliance. Maxwell was an intensely curious and talented student. At the age of fourteen, he made his first contribution to mathematics in the study of oval curves, and actually published a paper on the topic. At age fifteen or sixteen he was admitted to the University of Edinburgh. In 1850, he transferred to Trinity College, Cambridge University in England and four years later placed second in the difficult Tripos exam. He then received a fellowship to Cambridge, became a tutor himself for a while, and then, in 1856, became a professor at Marischal College in Aberdeen, Scotland. It was at Marischal that Maxwell rekindled an early interest in Saturn’s rings. Using mathematics, not a telescope, he theorized that the rings could not be solid, as was then widely believed, but made of many particles all orbiting the planet. His paper on the subject garnered him the prestigious Adam’s Prize. Unfortunately, just four years after joining Marischal College, Maxwell lost his professorship due to a reorganization of the faculty. A short time later, however, Maxwell became a professor at King’s College, London and remained there for six years. It was at King’s College that Maxwell performed his most important research. It was there, for example, that Maxwell worked out his “kinetic theory of gases,” which has to do with the motion of atoms in a gas and where he demonstrated color photography. Most importantly however, it was during the 1860s that Maxwell began formulating the equations that are the foundation of electromagnetic theory. This work is considered by many to be one of the greatest intellectual achievements of all time. Maxwell’s Equations are not the four simple looking equations we use today. Initially Maxwell wrote a set of twenty equations, which were incomprehensible to most of his contemporaries. His ideas were so advanced that very few people understood the importance of what he had done. It wasn’t until more than a decade later that their importance began to be recognized. Maxwell retired to Glenlair in the mid 1860s and began writing what became the book Electricity and Magnetism (published in 1873). In 1871, rather reluctantly, he accepted an offer to return to Cambridge as their first Cavendish Professor of Physics. In that capacity he edited Henry Cavendish's papers and designed the world famous Cavendish Laboratory. In the spring of 1879 Maxwell’s health began to deteriorate. He and his wife, Katherine, returned to Glenlair. Although suffering from a painful cancer, Maxwell reportedly remained cheerful and calm until his death in November at the age of forty-eight. What is done by what I call myself is, I feel, done by something greater than myself…I have been thinking how very gently I have always been dealt with. I never had a violent shove in all my life. The only desire which I can have is like David to serve my own generation by the will of God, and then fall asleep. Tartan A reproduction of a photograph of a tartan ribbon made from Maxwell’s original 3 color separated prints. Made in 1861, it is widely considered to be the first color photograph. Lewis Campbell, The Life of James Clerk Maxwell, (London, MacMillamn & Co., 1882). Martin Goldman, The Demon in the Aether: the Story of James Clerk Maxwell, (Edinburgh: Paul Harris Publishing, 1983). Basil Mahon, The Man Who Changed Everything: The Life of James Clerk Maxwell, (Chichester, UK: John Wiley & Sons, 2003). This page was last edited on 27 March 2019, at 16:33.